Germany is a unique real estate market within the European Union. The german real estate market has shown a tremendous upside in the last 10 years. There is and has been a massive change in investmens, caused through the low interest rates all over the world. This development led to an investment overflow in German ”Betongold”. Residential and retails real estate investments are now considered as stable and cash low retuning assets. The better the tenant and location the lower the cap-rates are and the pricier assets get. The regulation given differ, especially in calculating the size of rental space and the contract regulations possible. Residential rules are much in favour of the tenant whil commercial units more or less can be negotiated freely. On and how someone measures space can also be varying. Between BGF and gif this can mean more than 20% less space available. For that reason it is very helpful to have a regional partner like a real estate agent for Germany or a real estate broker Germany on board. A different country with a different understanding of investment and regulations should always be looked at with a proven expert who is located on site and sophisticated in specific real estate assets. People in Germany, the rest of Europe and even abroad from other countries and investors outside Europe want to invest in residential, commercial, or retail real estate space in Germany. The infrastrutuce is great, the demand on consumer goods is stable and rising and there are no significant political or geopolitical risks on sight. What if your best opportunity is a few clicks away? Whether it is your dream site, perfect flat or house, the best office-buildings available, or retail or residential buildings that meet your specific needs – all assets can be asked for. Do not be content with the limited choices you have. There is always a better chance waiting for you out there! If you wish to be on the look in the field of residential or commercial real estate in Germany, and do not want to lose the better opportunities, join the demand-oriented real estate search in Germany where thousands of buyers and sellers meet to make a thriving community. Thousands of offers for you waiting to discovered and five different ways of finding and receiving real estate offers possible. Your Suchagent is waiting for you. Are you interested in investing in commercial, retail or office buildings in Germany and properties in and around the larger cities? There is a new approach on how you get your hands on those kinds of assets easily. Without any language barriers possible. This is how it works: real estate owners in Germany offer their property for sale or rent, while people post their requests for buying or renting property. The real estate search in Germany matches offers and requests, so if you are planning to own or rent German property, you know where to look for now. Immobase is the web platform that connects buyers with sellers in the simplest way that anyone can use. Whether if you are looking to offer your property or you are searching for one, you can find the right request or offer with all the information you need to know about it in the clearest and most accurate way. As a pioneer in the real estate business, the demand—oriented search provides real estate consulting with its ever growing community which attracts a wide range of potential buyers and sellers every month. Thea are serving them in a user-friendly environment where every step in the process is as clearest and simplest as it could be. If you are searching for the right opportunity to invest in the real estate market in Germany. The search mechanism of Immobase can also set forth a wide range of chances that would help you take your first step into the business. It provides their customers with a professional and farsighted view of the market, accompanying them in every step along the way, from studying the possibilities and opportunities to the final level of decision-making. Immobase has made a leading success in keeping pace with the changes and the new regulations and requirements of the thriving real estate market, making the richest environment for real estate expansion and cheap real estate investment possible. The platform acts as an searching real estate agent with the purpose of a real estate broker. The team is always there to try to find matching offers for you and guarantee the best real estate service available. On the other hand, if you want to sell your property or put it for rent, you can attract buyers or tenants in the best place where most people go to. This is where you can put your advertisement and our highly-active and thriving community would not miss your ad. Suitable requests and offers will simply come to you – automatically and with no language barriers. Simply, place your request online and receive matching offers immediately. Immobase offers a demand-oriented real estate search; tell them your request and they will let you know what they can offer for your individual investment profile needs. What does ENEV actually mean? Betongold, what does it stand for? 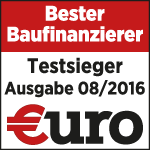 Buy or rent in Germany?